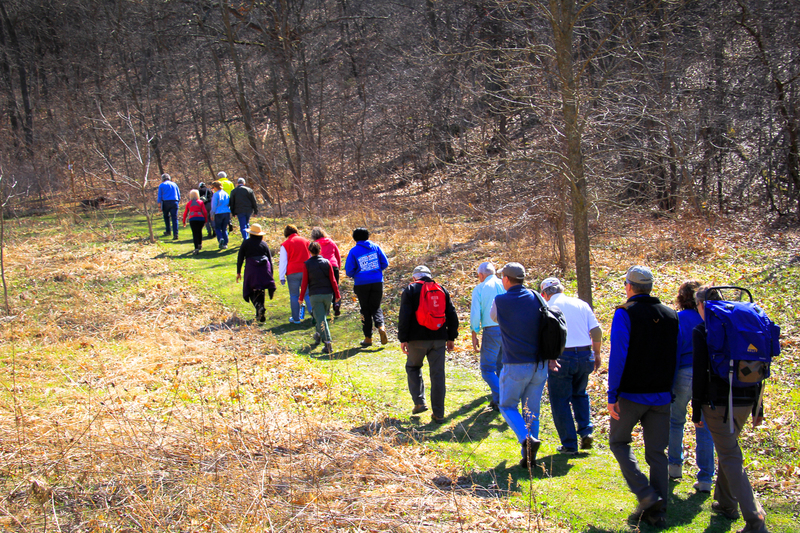 On Saturday the Hiking Fellowship Group enjoyed its first hike of the season organized by Rotarian Karl Gutknecht with Bob Miller, President and Executive director of the Aldo Leopold Nature Center, and board member and Rotarian Deb Gilpin on hand at the Black Earth location. 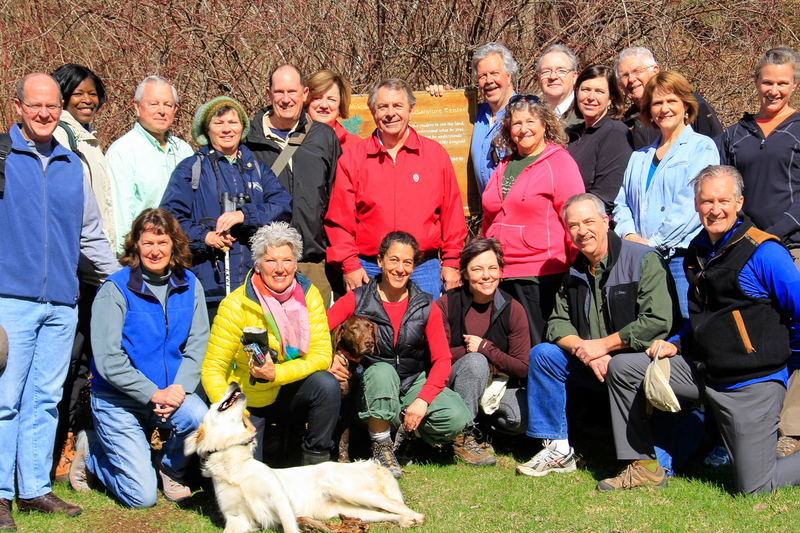 What a wonderful way for over 25 Rotarians and friends and two dogs to welcome spring! 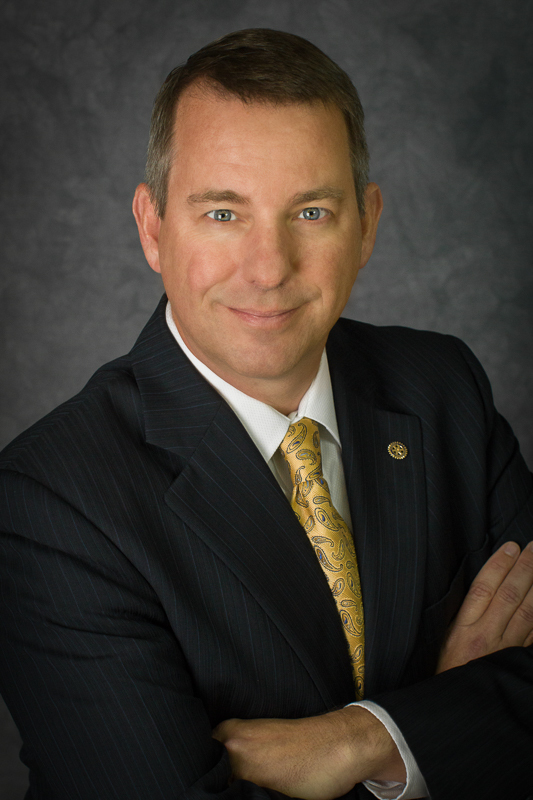 Bob provided background on the 38 acre site in front of the Leopold Lodge that can be rented for camping trips, meetings,etc. An excellent location for our group photo too. 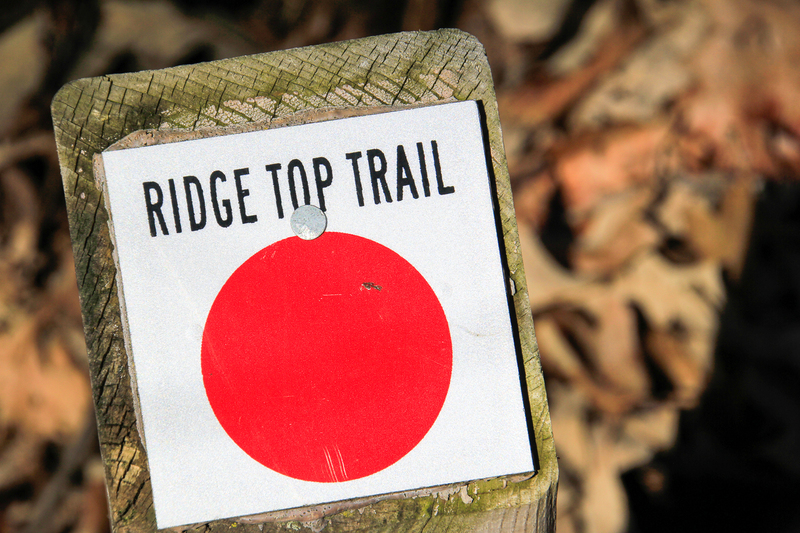 The site has wonderful hiking trails. 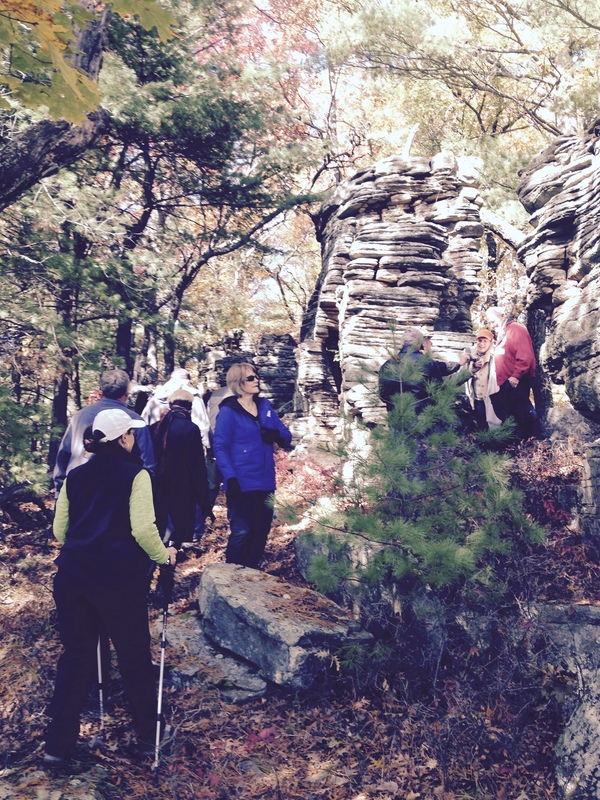 We hiked the first loop, about 1.5 miles consisting of mature woods, and rocky outcroppings. This path had somewhat steep terrain that took us high in the treetops before winding down into the valley. 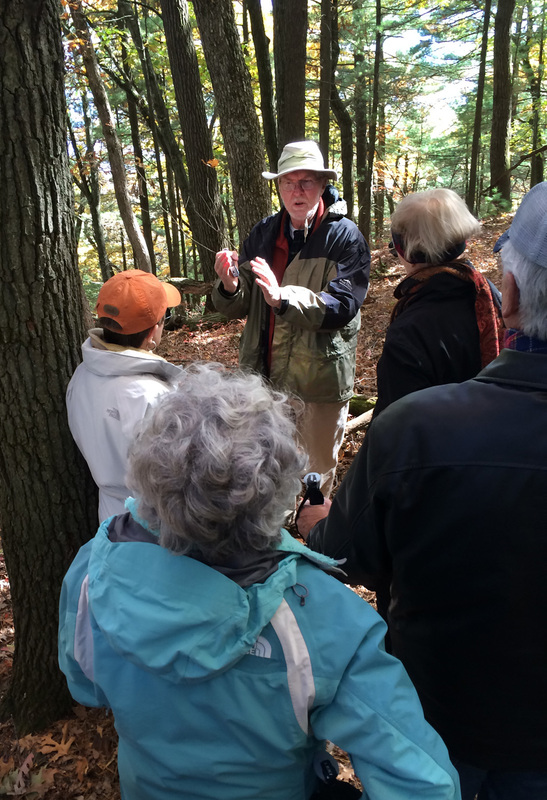 Once at the bottom, Bob shared stories of several scouting troops who rent out the site to test for hiking badges and other camping adventures. 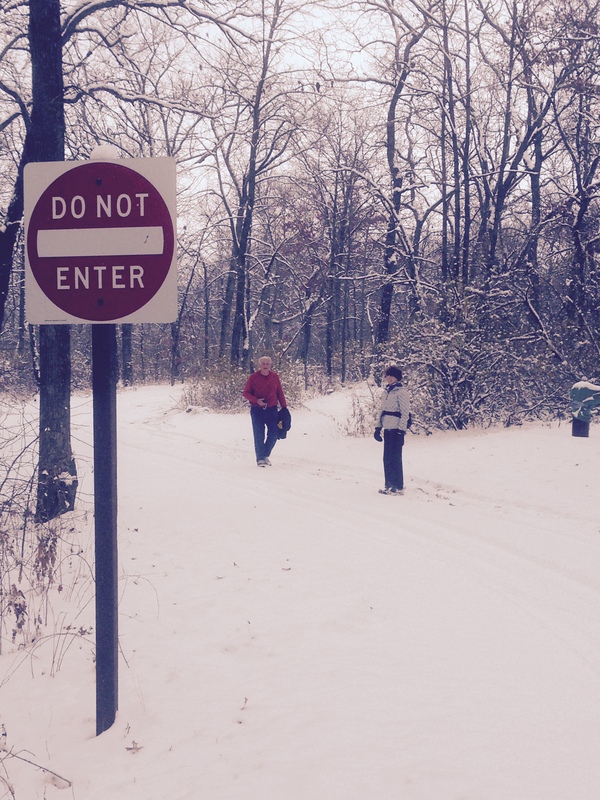 We embarked on the second loop which was about 1 mile. This path was not as steep as the first and had a fire pit and council ring at the top. 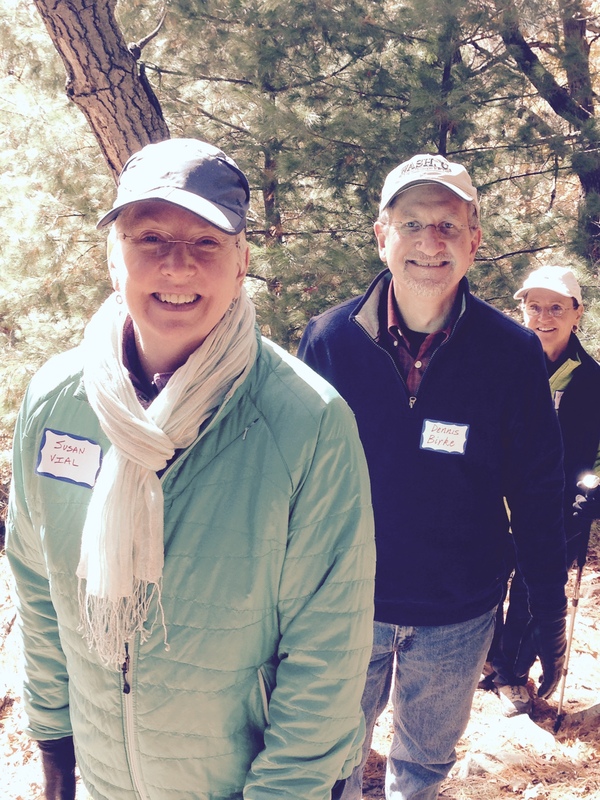 Our hike concluded with a picnic lunch on the wooded deck of the Alexander Studio. The studio has high cathedral ceilings, a center stage and originally served as a rebirthing center in the early 1970’s. 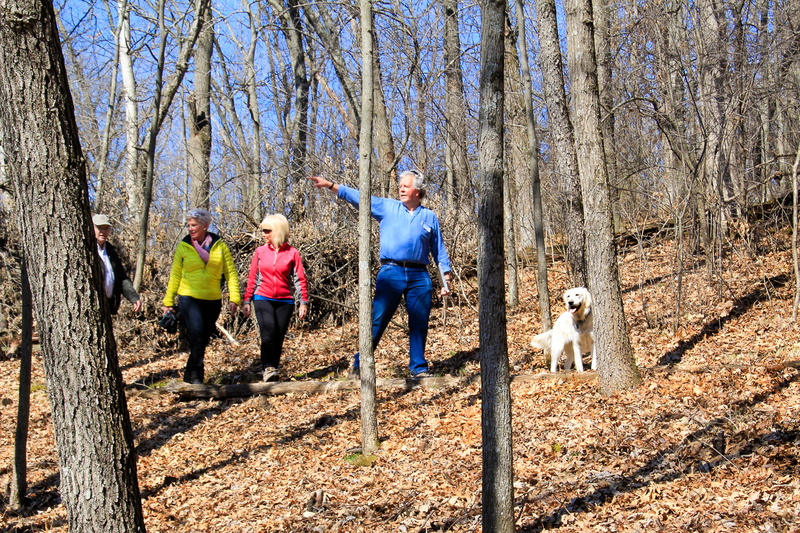 It was a beautiful day and great location to kick off the hiking season. 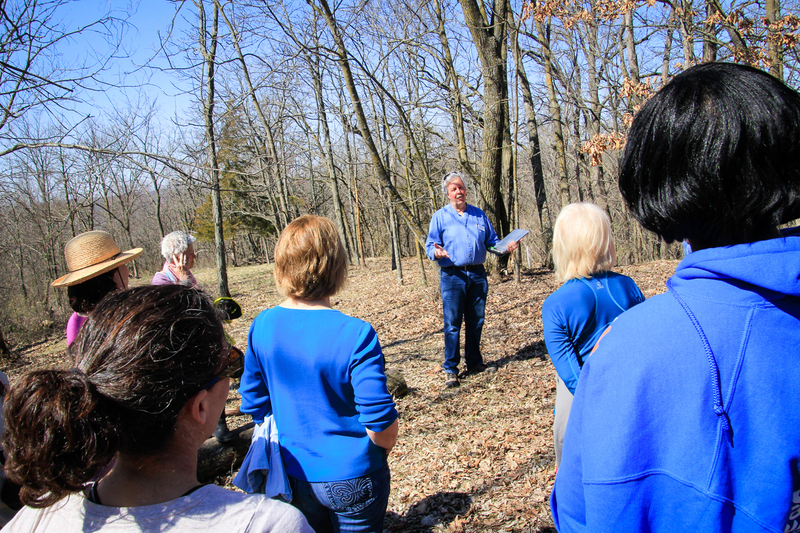 Bob invited us all to visit the Monona Aldo Leopold Nature Center later this summer. 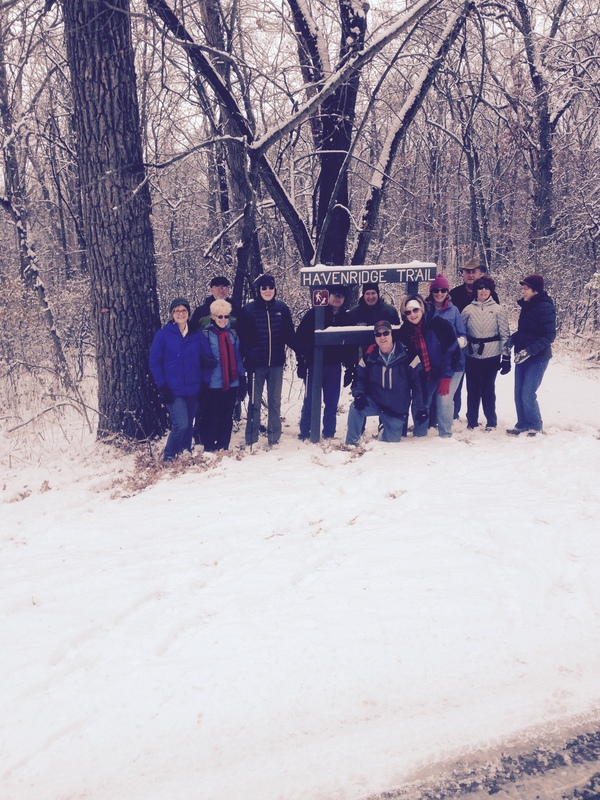 The Rotary Hiking Fellowship enjoyed the snow at New Glarus Woods State Park on Sunday, November 16. We met near the picnic shelter, where a friendly park ranger made sure we all had daily or annual state park passes on our cars. He was very proud of his park, and he stopped to take a photo of the group before we headed off on the Havenridge Trail. Equipped with printed park maps and multiple GPS devices, the consensus of the team was to simply follow the loop. According to Jeff Tews’ Fitbit, we hiked 4.3 miles and climbed the equivalent of 50 flights of stairs. After the trek, six of us went into New Glarus for a warm and tasty lunch at Kristi’s Bistro Cafe. 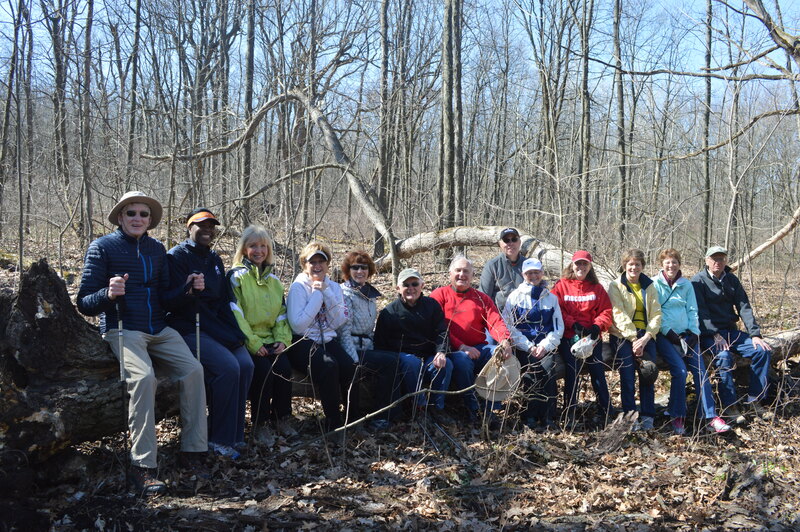 On Saturday, April 26, members and guests of the Hiking Fellowship summited Blue Mound in perfect climbing conditions. This was the loftiest altitude ever achieved during a Hiking Fellowship event! 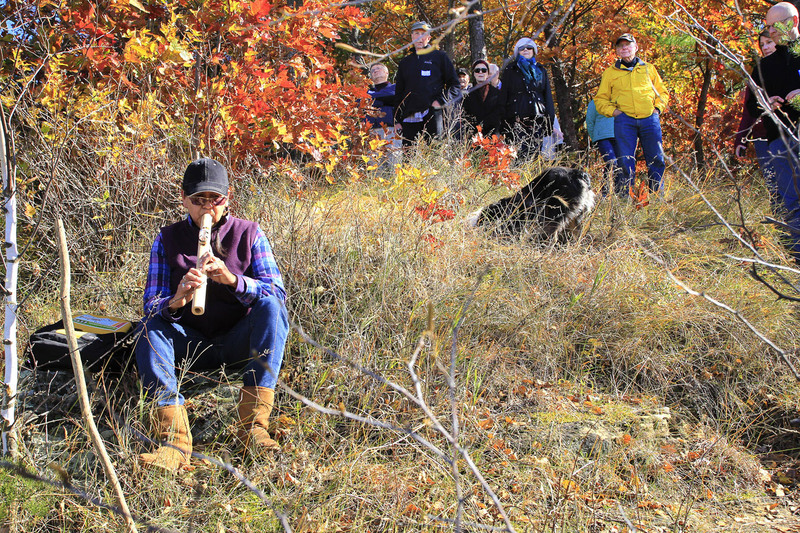 The participants were properly acclimated and conditioned for the ascent. 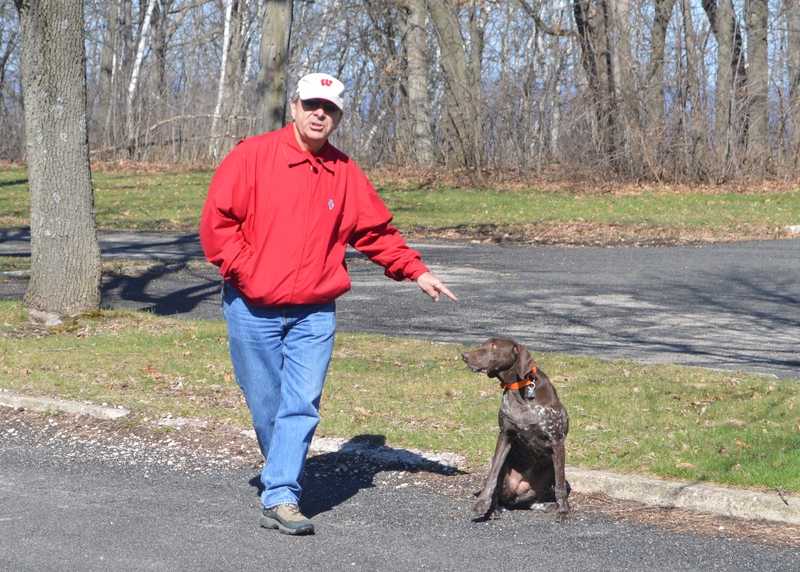 We were accompanied by Dan Dieck’s beautiful German Shorthair (pictured below), the latter failing to point even a single pheasant. The hike was followed by a high-energy meal at Sjolind’s Chocolate House in Mt. Horeb. 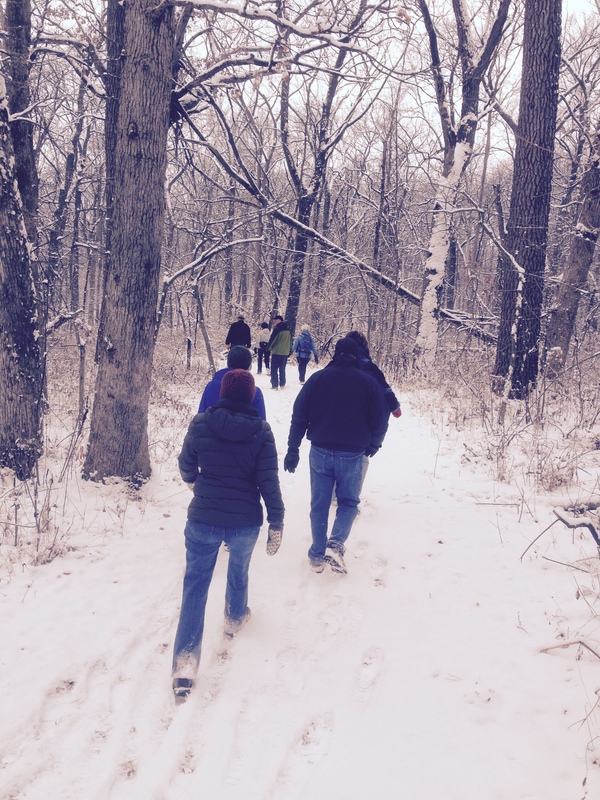 Dan will be coordinating a summer hike on the Ice Age Trail and Karl Gutknecht a late summer/early fall event at the Aldo Leopold Headquarters. 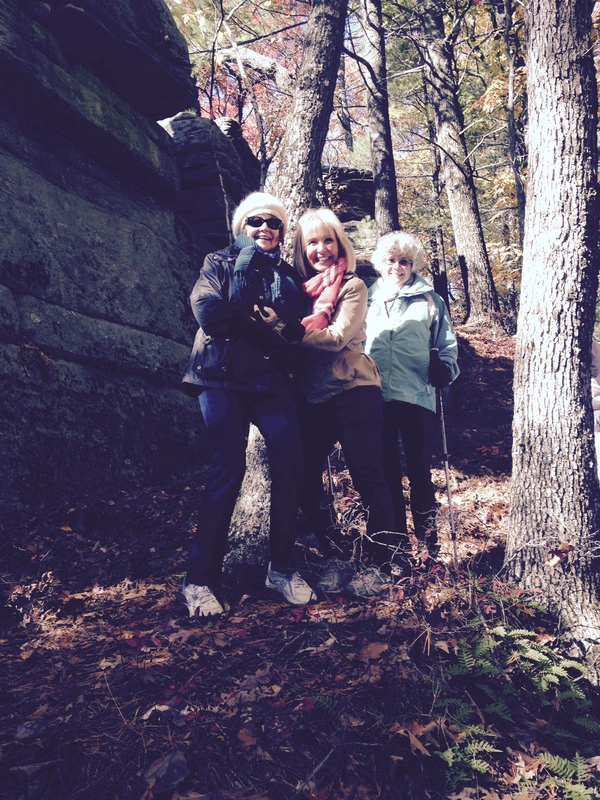 Virginia Bartelt will coordinate a Thursday evening hike during the summer. All of these dates are to be determined by the respective coordinators. Stay tuned for more information. 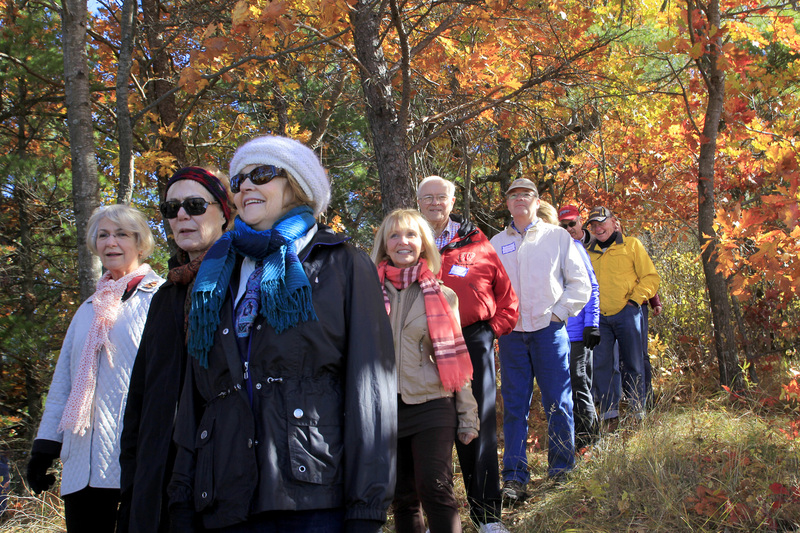 The Rotary Hiking Group met on Saturday morning at Indian Lake Park for a fall hike totaling about 6 miles. 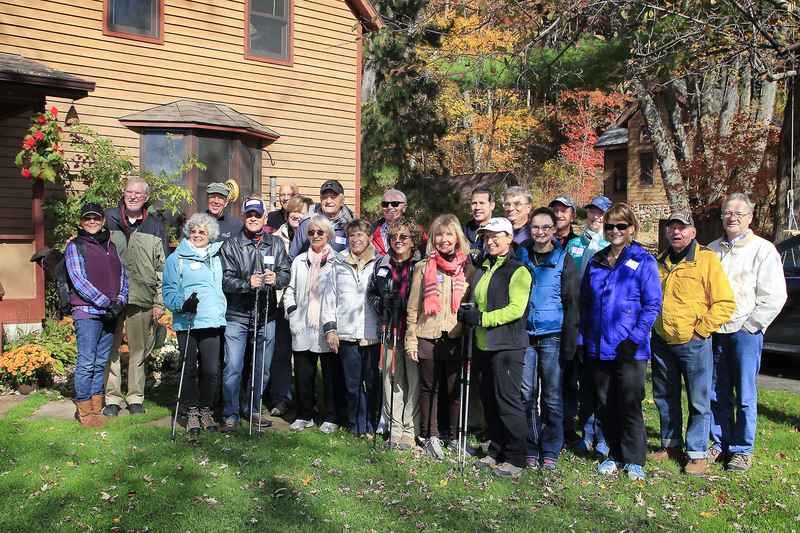 The group of 16 Rotarians and spouses could not have asked for better weather! The sun was shining and a nice breeze was blowing to keep us cool as we hiked. 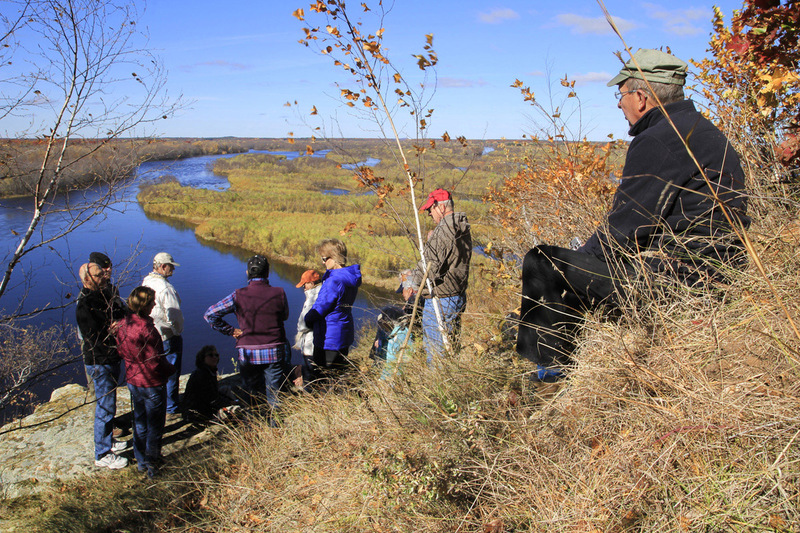 Our group first hiked the shorter loop around the lake looking at the beautiful fall grasses and prairie. 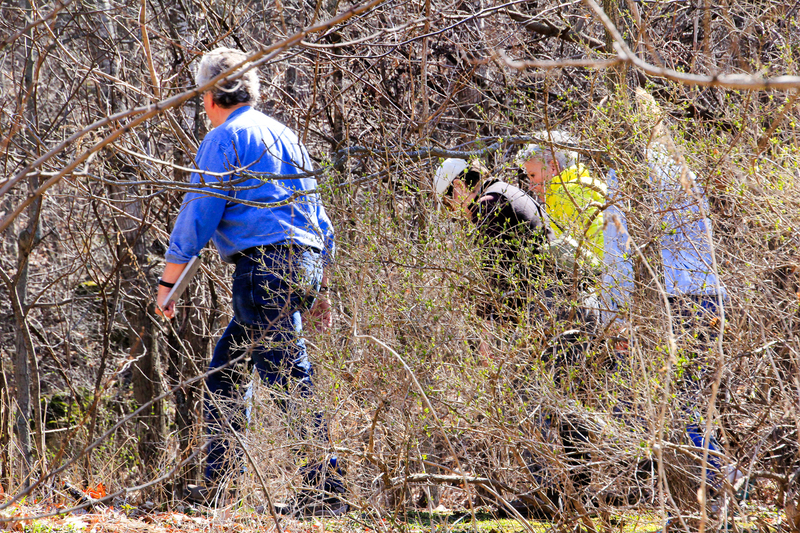 After reconvening in the parking lot, a few left to tend to other weekend tasks while the rest of us headed up the hill to the German chapel built in 1897. 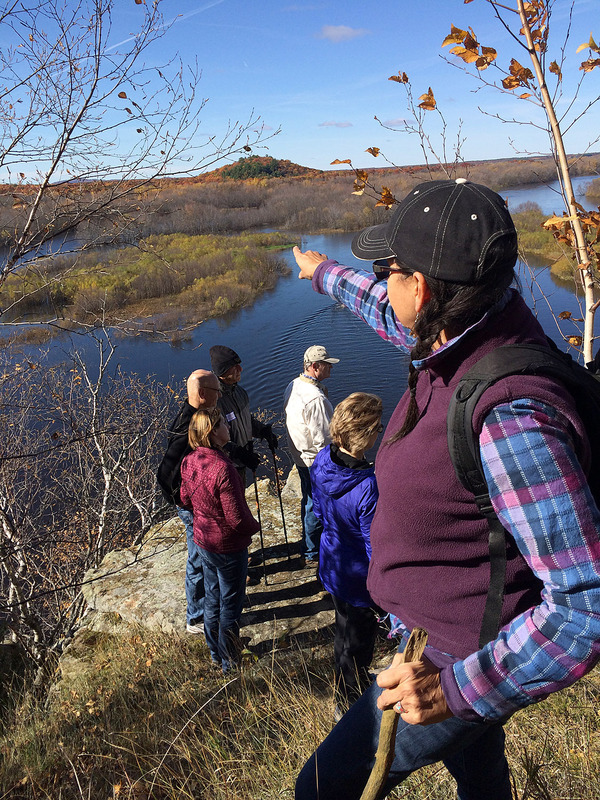 The views from the top were idyllic Wisconsin landscapes made even more special by the immerging fall colors. 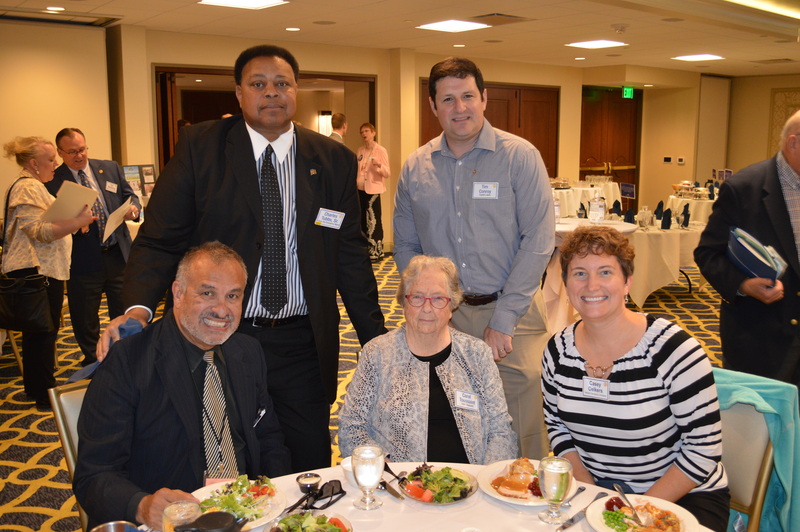 Interested in joining our fellowship group? 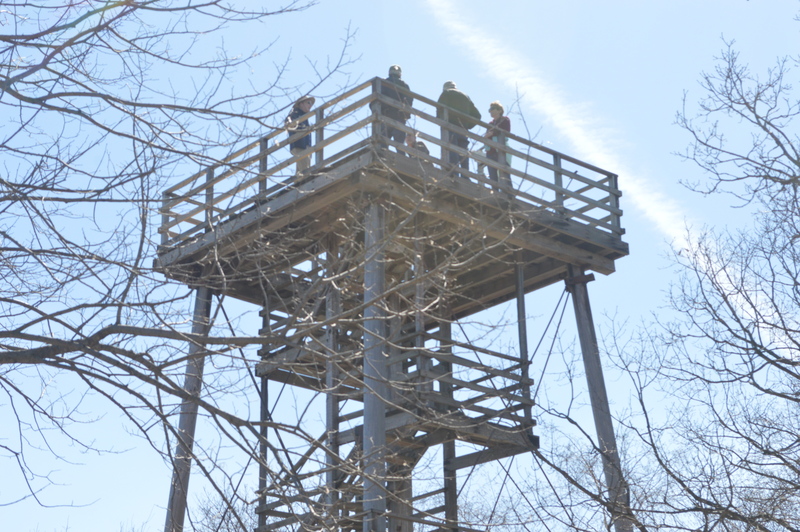 Contact the Rotary office about future hikes.